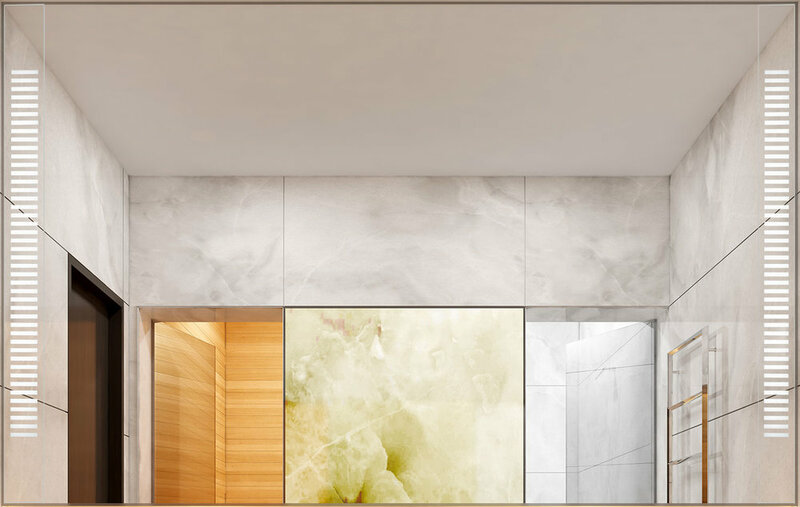 A new fixture-less concept from Boyd has light hidden within walls and mirrors. The Sunbeam LED In-Wall and Portal LED In-Wall are lit from within. Inspired by requests from architects and lighting designers for “non-fixture fixtures” that won’t clutter spare spaces or compete with restrained interiors, Doyle Crosby and a team of in-house designers have developed fixtures that fit the bill. Lit from within, these customizable, recessed-mounted, LED sconces are special enough to be art. Imagine a row of shallow, concave bowls within the wall behind a reception desk, each one glowing gently with warm LED light that bounces off the rich, gold leaf interior. The wall is the perfect shade of dove gray and the Portal LED In-Walls melt away seamlessly, their primed aluminum frame painted to match the wall. In the daylight, the illuminated white gold bowls are subtle but with nightfall, the sconces glow like a portal to another world. Available in two diameters, three leaf finishes and either a primed or blackened brass outer ring, the Portal is the perfect art installation. Lining a corridor and marking doorways is where the Sunbeam LED In-Wall shines. Like the Portal, the linear, narrow channel of the Sunbeam has a leafed interior (also available in white gold or yellow gold paint) and a paintable rim to match any wall color. The result is a beam of gold light that seems to radiate from thin air; light without a fixture. 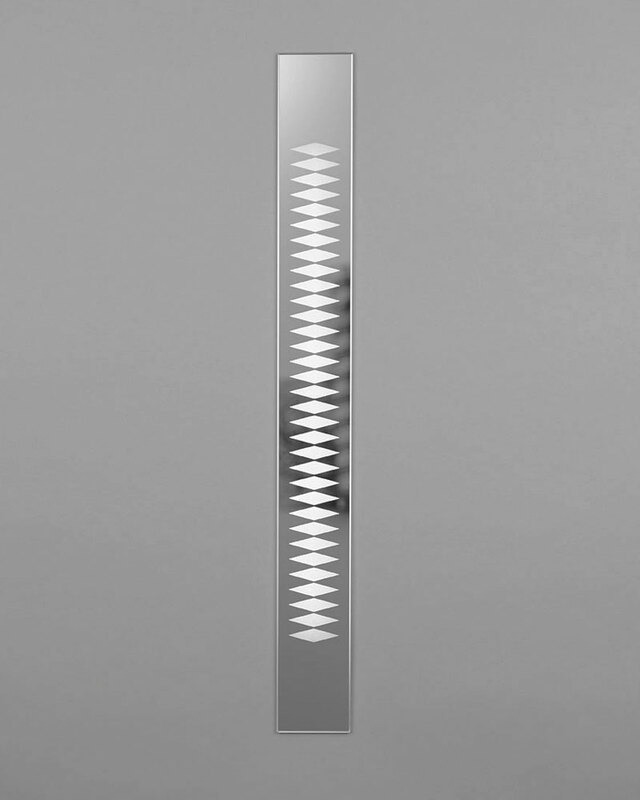 The Emanation LED Mirrored In-Wall fixture provides punctuations of visible light on any custom mirror. Filtered, non-glare light glows through a mirrored face plate to illuminate ones’ face. The Emanation is recessed mounted to be flush with the surrounding mirror for uninterrupted reflection. An etched pattern runs along the face plate, which is just over three inches wide. A variety of glass types, face plate patterns, and color temperatures. The ability to be mounted horizontally or vertically, give this fixture enormous versatility for any interior style.